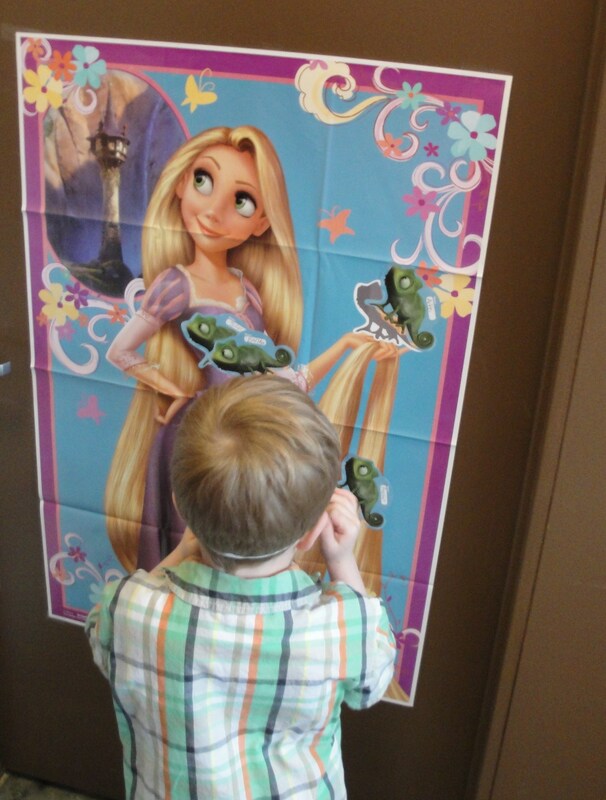 How to: A DIY “Rapunzel (Tangled)” Birthday party | ...and another cup of coffee. I’m one of those parents who does not have a birthday party every single year for their child. I don’t have a problem with the idea, except I guess that I hardly had birthday parties growing up so when I was able to have a party it made it even that much more special to me. My daughter has gone a handful of years without ever having an “official” birthday party. So my husband and I decided to have a party for our “Little Diva” this year. Now, I originally wanted to have it at our home with tons of decorations all homemade and everything that I could do myself I planned to do…even the freak’n cake. To clarify: When we decided to throw a party together for our daughter we were all coming down from a three day Disney high. Right before our trip I had inquired about the new party room at our local cupcake shop. And luckily it was available and fairly affordable for what it all included. We decided to rent the room and (supplied by the shop) a cake decorating for all the kids. 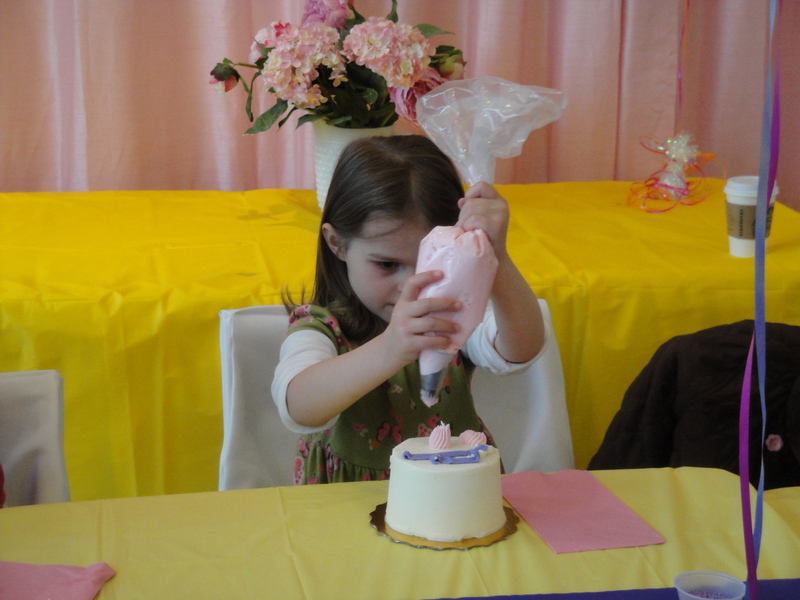 The cupcake shop provided the room, all decor, plates, napkins, cups, one cupcake (of choice) per child , one 5″ round mini cake per child to decorate and all the clean-up…yes all the clean-up. For 7 children total it turned out to be affordable and easy. First thing first, was to get the actual “goody bag”. I didn’t want to get the plastic character ones you find at the store for like $5.99 for 5 of them. So I found a pack of 10 purple paper bags for $1 at the party supply store. 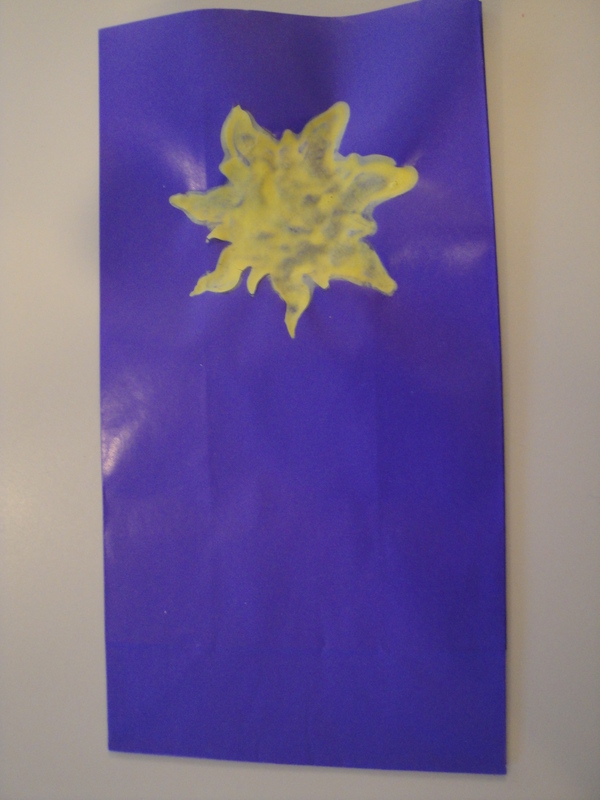 Then I busted out my daughter’s yellow poster paint and painted the “sun” from Tangled. When the paint dried I wrote each guest’s name in the middle of the sun. 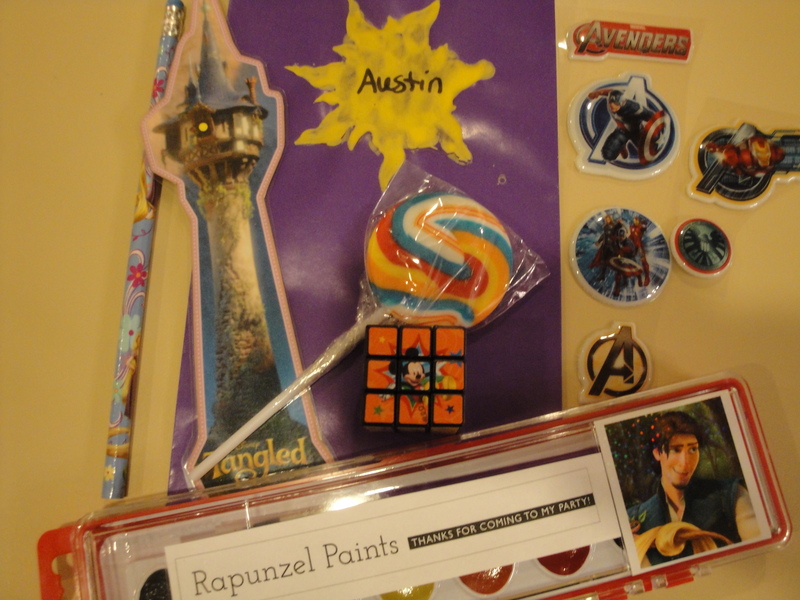 I wanted one of the “goodies” to be a little thank you to our guests. 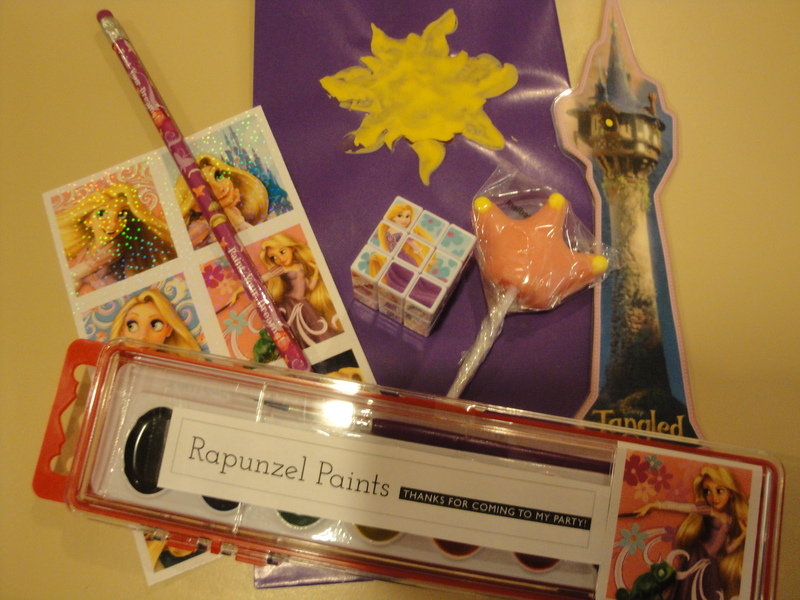 So I remembered Rapunzel in the Tangled movie loves to paint. Wa-la! 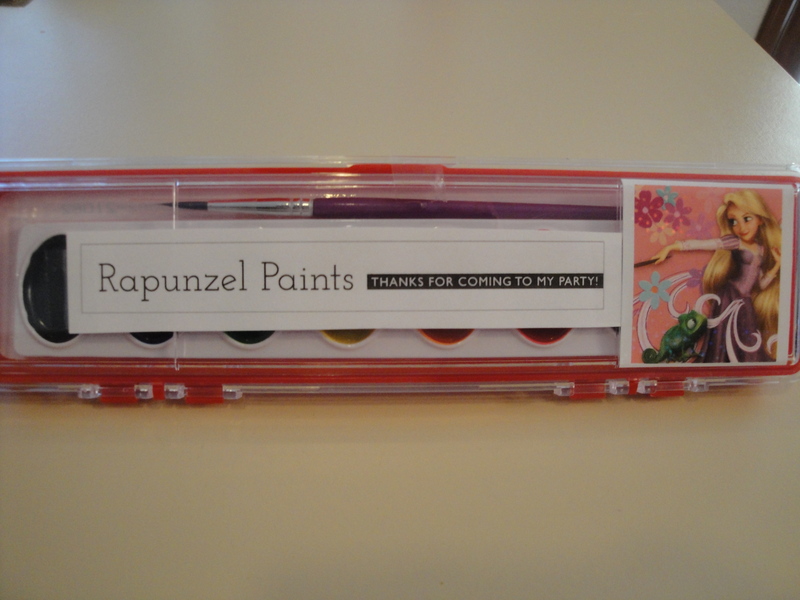 I got the cheap watercolor paint sets from the store and took off the package label and made one the said, “Rapunzel Paints, Thank you for coming to my party!” And I put a sticker on the end of it (I made sure to have a Flynn Rider sticker on the ones for our male guests). 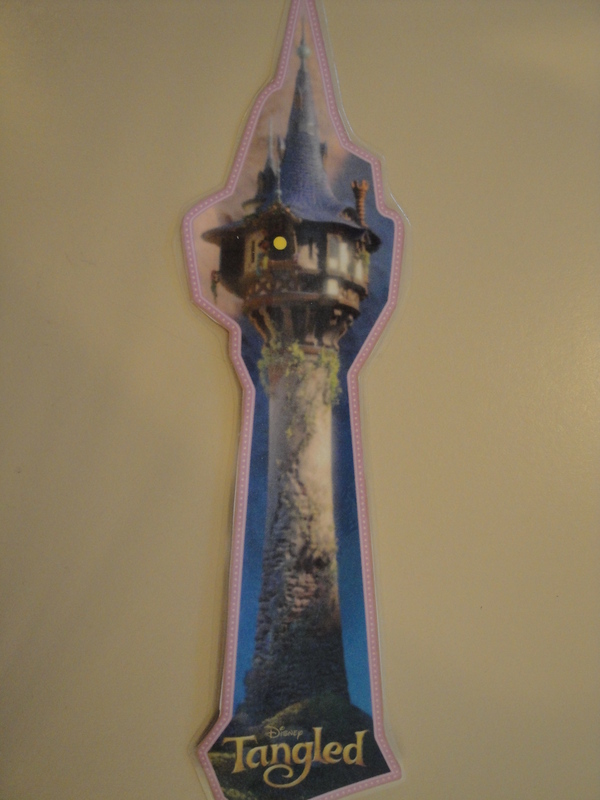 Next, I found a free printable from a Disney site of a bookmark of Rapunzel’s tower. So I printed out those, cut them out and laminated each one at home. You can find the link I used here. Then as a last thought, I printed out some free coloring pages from the Disney site and set them up on the table at the party for the kids to color while we waited for all the guests to arrive. Yes….I did it! Over all, the party turned out great! My daughter was extremely happy and just thought it was so special for her. All of our little guests who attended had so much fun playing “Pin Pascal on Rapunzel”, decorating their very own cakes to take home and picking whatever cupcake they wanted from the shop. It was such a fun day for all the the kids and even the parents enjoyed themselves watching the activities. I’m so glad that we had this party for our little girl…who is growing up so very fast.